What happened next has shocked the world. Taliban fighters opened fire on the unarmed schoolgirl, shooting her in the head all because she had dared to campaign for girls rights to an education.She’s not the first activist to be targeted in north-west Pakistan and she wont be the last. Unless the authorities do more to protect her and others like her. Malala has since been airlifted to a Birmingham hospital. As we await news of her recovery, we have been collecting your beautiful, heartfelt messages of support for the girl you call an inspiration to all of us, a heroine in our house and a beautiful star may you continue to shine brightly – which we plan to pass on to her family soon. We are in awe of Malala and her great courage in speaking out. Northwest Pakistan is a very dangerous place to speak up for human rights, particularly if youre a woman. In the past year alone, two activists who campaigned for girls education Farida Afridi and Zarteef Afridi – have been killed in a wave of targeted attacks by the Taliban and other groups. 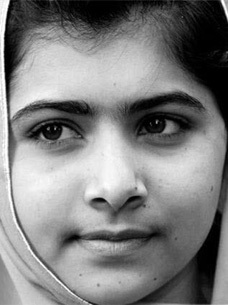 The Taliban left us in no doubt that they intended to kill Malala, saying: She is a Western-minded girl. She always speaks against us. We will target anyone who speaks against the Taliban. Chillingly, they added that if she returns home she will not be spared, and reiterated their intention to attack her friends, family, classmates and other activists. Copyright © Amnesty international, UK 2012. Registered in England no 01735872, registered office. Amnesty International UK is a company limited by guarantee. Amnesty International UK Section Charitable Trust number 1051681.